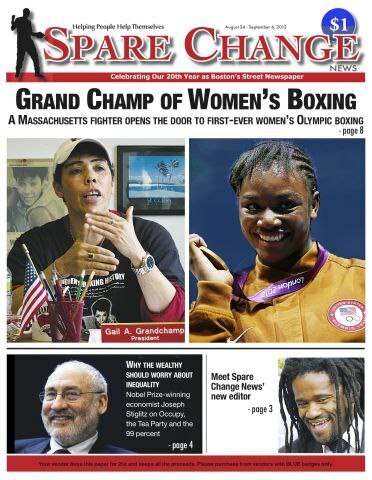 The August 24- September 6, 2012 edition of Spare Change News, the Cambridge, MA-based street newspaper, is available in print (PDF format here) and online at www.sparechangenews.net. 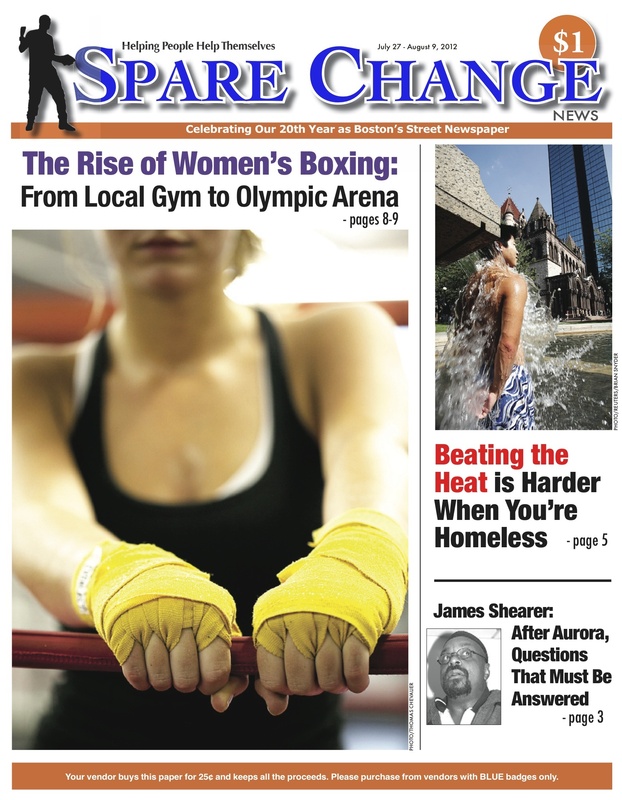 Spare Change News writer Noelle Swan delves into the untold history of women’s boxing in “Grand Champ of Women’s Boxing,” about a Massachusetts fighter who took on the all-male boxing establishment to open a door for women. 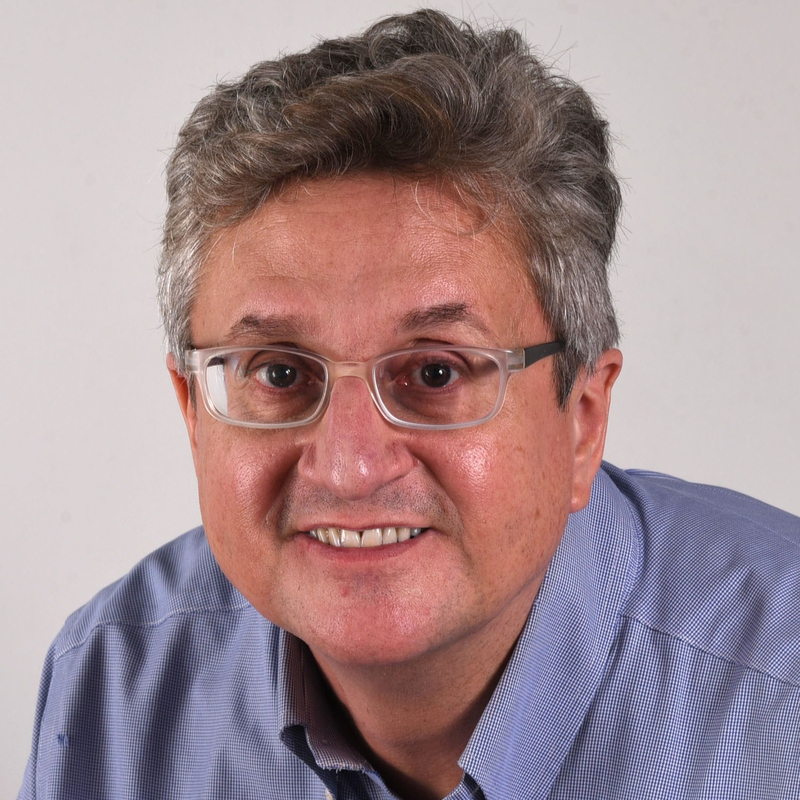 Don’t miss an in-depth interview with Nobel Prize-winning economist Joseph Stiglitz on Occupy, the Tea Party and the 99 percent from the International Network of Street Papers. 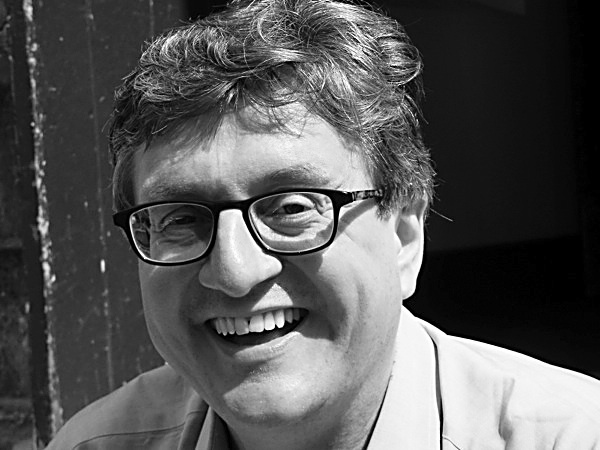 Meet our new Editor-in-Chief, the Rev. Osagyefo Sekou, and his ambitious plans for the next phase of Boston’s 20-year-old street newspaper. A sneak preview from the next issue of Spare Change News. 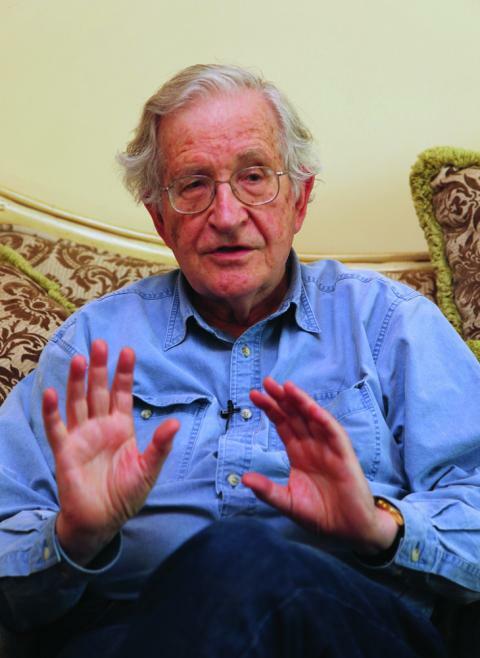 This, and an interview with Nobel Prize-winning economist Joseph Stiglitz on Occupy, the Tea Party and the 99 percent, will be featured in our next issue. 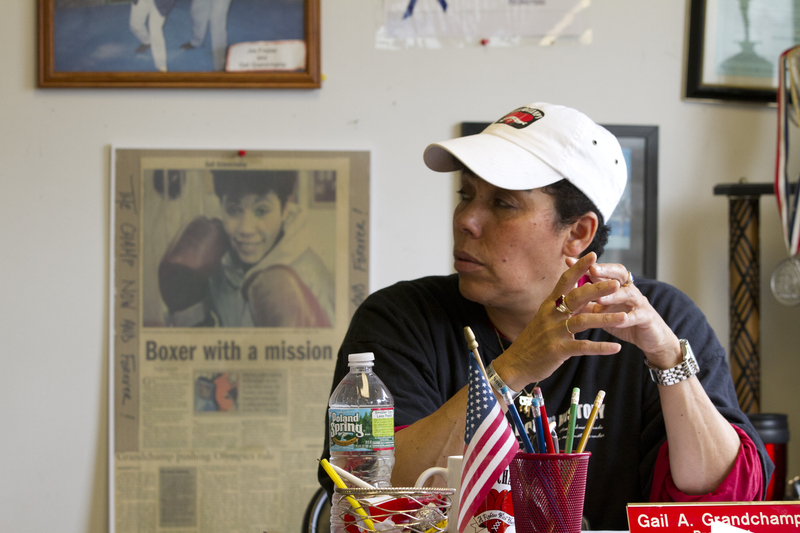 Top photo: Gail “The Champ” Grandchamp of North Adams, Mass., (yes, her real name) took on the all-male boxing establishment and delivered the legal KO that opened the door to this month’s first-ever women’s Olympic boxing competition. 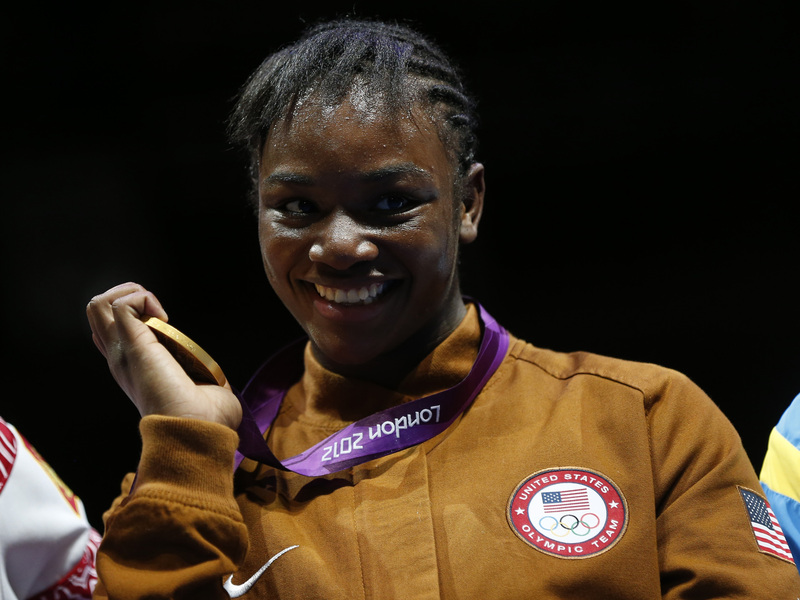 Below, Claressa Shields of the U.S. standing with her gold medal during the presentation ceremony for the Women’s Middle (75kg) gold medal boxing match at the London Olympic Games.